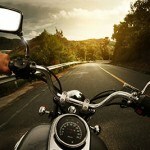 Motorcycle Insurance is a necessity in Florida. Unlike other parts of the county, every month is motorcycle season. We offer a variety of coverage options and discounts to give you superior coverage at great rates. Good coverage can be affordable! We welcome all calls and insurance questions.